The accurate miller for delicate projects. Spindle speeds 5, 000 - 20, 000rpm. For work with extremely small cutters. Dimensions: 8" x 6" x 6" inch. Gross Weight: 7 Kgs. Approx. The quality of our range is persistently maintained & upgraded as per the developing technical scenarios. It is due to this high quality range that we are successfully venturing in our business and exporting our range to global regions such as Gulf nations, Africa, South East Asian Countries, Bhutan and many other nations. 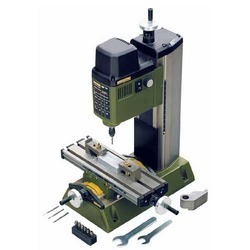 Owing to the consistent efforts of our dedicated team of professionals, we have been constantly engaged in offering the best quality array of Mini Milling Machines. 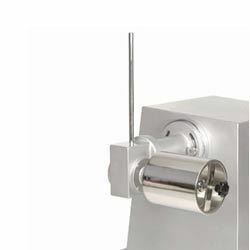 Counted as one of the prominent organizations, we are involved in offering a wide range of Mini Flour Milling Machine. These are widely preferred by clients owing to precise design, robustness and consistent performance. The offered products are manufactured by using superior quality material and cutting edge techniques. These micro mill with pneumatic conveyors system are with rotary air lock valve and opened type dust collector for grinding dust proof operation. also offering closed type dust collector with mechanical shaking arrangement with timer instead of open type dust collector.